Associative classification is a novel and powerful method originated from the association rule mining. In the previous studies, a relatively small number of high-quality association rules were used in the prediction. We propose a new approach in which a large number of association rules are generated. 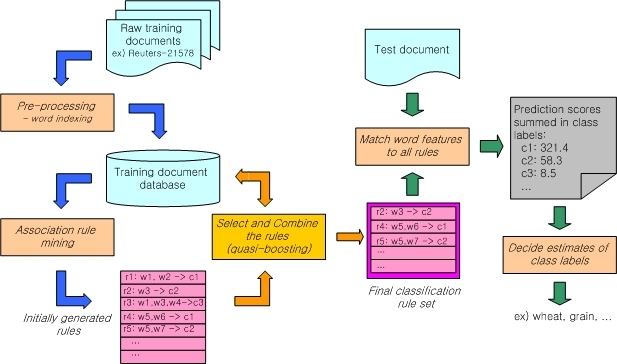 Then, the rules are filtered using a new method which is equivalent to a deterministic Boosting algorithm. 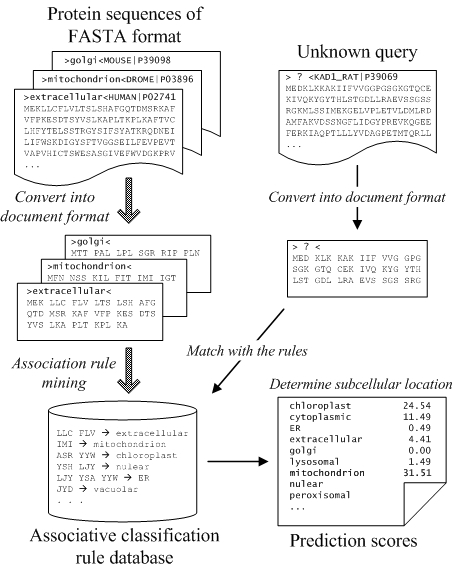 Through this equivalence, our approach shows a good performance in the large-scale classification task such as text categorization and biological sequence classification.